Home Community News Digital Commons Is Excited to Announce Native Streaming Is Here! With Digital Commons’ Native Streaming, you no longer need to locate a streaming server at your institution or use a third-party platform. Digital Commons supports streaming media on article metadata pages so you can showcase your most dynamic content front and center—stream your institution’s video and audio files directly from the article page. Simply upload each file and it will be ready to stream on a range of devices after a short conversion process. Native Streaming includes usage metrics, supports closed-captioning, and provides unlimited storage space. Plus, you have safe, reliable storage for all your streamed content within your institutional repository. View media content without having to download it. Engage new departments with the possibility of video lecture series, podcasts, and archiving for audio and video files. Create multimedia-based collections quickly for optimal discovery. It’s easy to get started: Digital Commons is offering a one-time retroactive Native Streaming service to support migration of existing streamed content. Please contact your Consulting Services representative for more information (or email us at support@bepress.com) and read our technical information and FAQs. And stay tuned for a Native Streaming webinar soon! 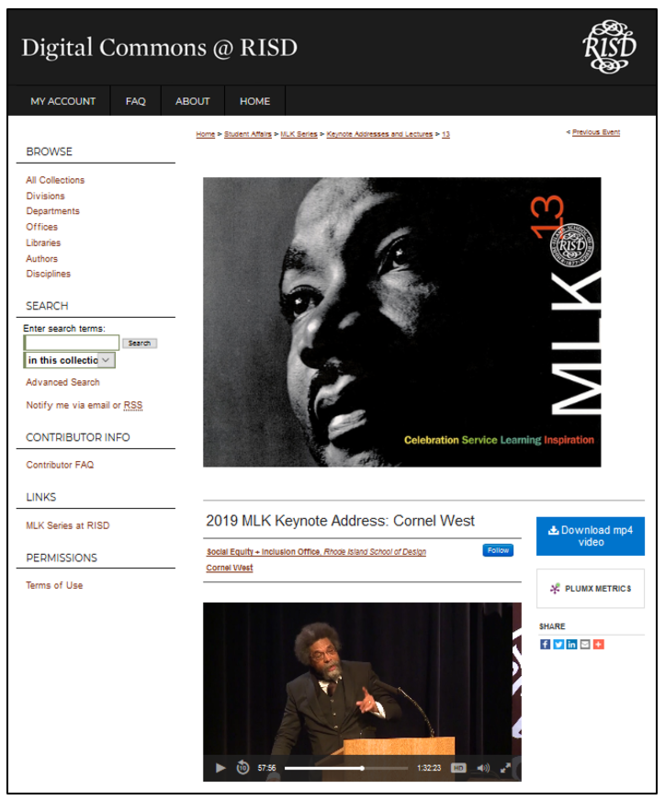 Rhode Island School of Design’s annual keynote addresses and lectures honoring Martin Luther King, Jr. 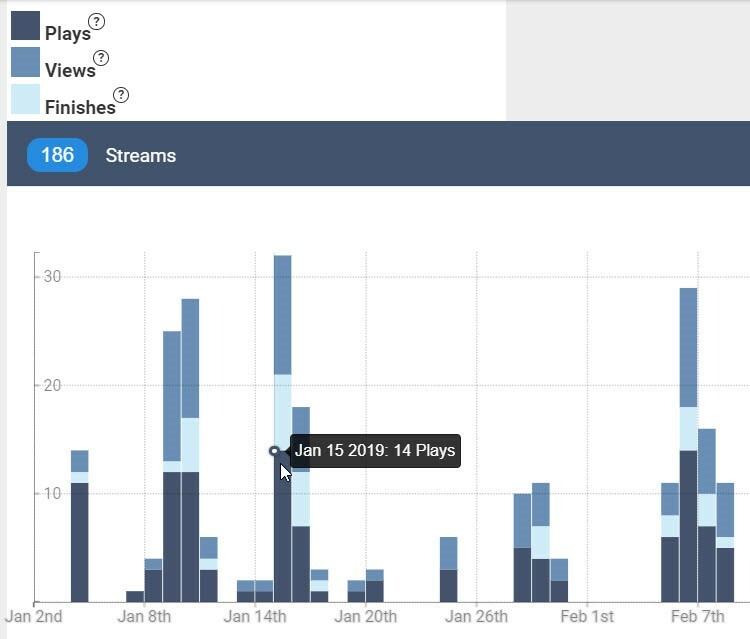 The Streaming Dashboard allows you to observe and examine usage behavior patterns, provide usage statistics for authors, and create exports with data at the article level. We’d like to thank all our beta testers as well as the entire Digital Commons Community who share in our excitement. Happy streaming!